Cosmic is a remote offshore accounting outsourcing service provider in the vertical of Finance and Accounts. We provide Bookkeeping and Accounting Services to CPA/CAs’ and small & mid sized enterprises in USA and Canada. Cosmic provides comprehensive accounting and finance outsource services to small and mid-size companies allowing owners and/or senior management more time to focus on the growth of their business. By providing access to high-level accounting services at low cost, clients achieve savings in hard dollars but also in soft costs, such as spending less time on accounting and finance tasks. Our Basic Accounting Management Services package is designed to complete your daily financial record-keeping tasks as well as your month-end closing tasks, followed by preparation of monthly financial reports and analysis of your business. We provides Just-In-Time-Accounting, you pay for what you need, when you need it. 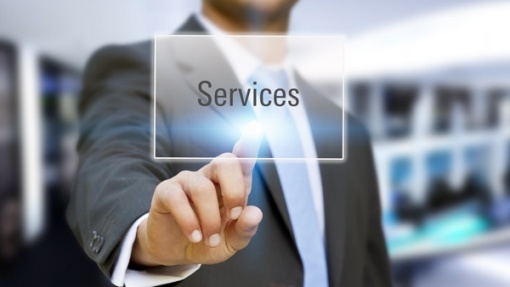 No need to incur high fixed overhead for services you can get at a fraction of the cost. Please call us for a free initial consultation. We are a new age business process outsourcing organization, which is highly focused on utilizing the potential of human intelligence and technology to provide powerful employee leasing and recruitment solutions to enterprises. We make it our highest priority to understand our customer's enterprise and its resource needs. Classify, capitalize and record fixed assets items and capital expenditure. We have experience and expertise in processing 1040, 1120, 1120 S, 1065 & 1041 tax returns. We expertise in most of the popular Tax softwares including Lacerete, Ultra Tax, ProSeries, Drake Software, Prosystem FX, CCH, TaxWorks, TaxWise, Turbo Tax, ATX, Go-system. We do the entire Tax Processing work remotely from India. We have developed an in-house proprietary Document Management System (DMS) which is very user friendly. The DMS allows easy transfer of the source documents (Digitally) unlike conventional FTP & Email methodology. You get to move your documents as easy as moving it to your next cabin! We have a comprehensive 5 stage process for the Tax compliance works that gives total quality control. The tax preparer is not a data entry operator he / she is well qualified and experienced tax preparer. The turn around time is between 24 to 48 hours. Constant contact with your India staff for support and problems. Success of a Software Project greatly depends on the project team expertise in the Customer Business Domain. provides profiled Offshore Programming, IT Consulting, Technology Research Teams for development of Custom Business Applications and Software Products. Design, Development and Support of Business Software Applications. Ecommerce and Web based Application Development and Maintenance. Legacy Software Re-Engineering, Re-Development and Support. Healthcare, Pharma & Life Sciences. Developing 3D models from the architectural sketches. Generation of General Arrangement drawings and Isometric views. Extracting the BOQ of Walls, Roofs, Windows, Doors, Fittings, MEP details, Building management system etc. Developing the component drawings for Roofing, walls, windows, MEP services, Fittings, Piping etc. Providing the Fabrication and installation details. Cosmic document management system is designed to help individuals, workgroups and large enterprises to manage their documents stored in electronic form. Document management systems provide a means to store, easily locate and retrieve, and exercise control over document-based information through the document's life cycle within the context of a group or large organization. It often includes a workflow component that routes documents to the appropriate users. The automatic routing of documents to the users responsible for working on them. Workflow is concerned with providing the information required to support each step of the business cycle. The documents may be physically moved over the network or maintained in a single database with the appropriate users given access to the data at the required times. Triggers can be implemented in the system to alert managers when operations are overdue. The manual flow of documents in an organization is prone to errors. Documents can get lost or be constantly shuffled to the bottom of the in-basket. Automating workflow sets timers that ensure that documents move along at a prescribed pace and that the appropriate person processes them in the correct order. Cosmic WFMS (Workflow management System) can help firms to reap benefits by improving productivity, becoming more responsive to clients and lowering operating costs. Quick and easy access to documents and data in a single view. Full document / Saved / Page search facility. Document check-in, check out facility. Complete reporting and analysis facility: Numerous reports are provided on process performance, work flow information, time taken for completing the task e.t.c. Upload files existing files to the database. Import and Export documents along with indexing data. E-mail documents with a single click. Cosmic is also a local partner of 8020 Accounting Systems LLC, USA and provides QuickBooks training in India. After the techies, it is now the turn of the finance professionals to strike it big in KPO. Also for those who are migrating to US. Our training program equips them best. Latest versions of QuickBooks 2018 (widely used accounting software in USA). Leading US Taxation software (including US tax Concepts). You would not want to miss if you are a Commerce Graduate / CA / Accounting Professional planning to pursue global opportunities. Aims to comprehensively impart current best practices, standards and processes in US accounting and provides hands-on experience on QuickBooks / US Taxation software's. Equips you with the expertise to explore the emerging outsourcing opportunities in financial accounting. Transform your deluge of legal documents and data into an efficient user-friendly electronic database. We have skilled staff who are dedicated to legal coding, have a thorough understanding of legal terminology and documentation and are able to review documents and locate specification requirements both efficiently and accurately. Our data conversion technique is compatible to all major legal proprietary software formats. By offering flexible service options, we work in partnership with you to find the level of support that most closely matches your business needs. Up selling / Cross selling.